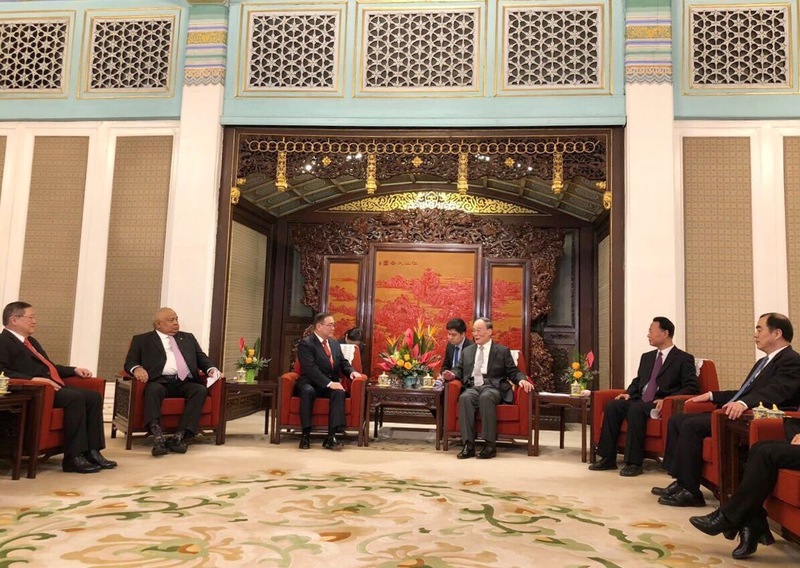 Philippine officials led by Foreign Affairs Secretary Teodoro Locsin Jr pay a courtesy visit to People’s Republic of China Vice President Wang Qishan on Tuesday (March 19, 2019) at the Zhongnanhai (Central Government Compound) in Beijing, China. The Philippine delegation also included Executive Secretary Salvador Medialdea, Finance Secretary Carlos Dominguez III, Transportation Secretary Arthur Tugade, Public Works and Highways Secretary Mark Villar, Interior and Local Government Secretary Eduardo Año, Budget OIC-Secretary Janet Abuel, Socioeconomic and Planning OIC-Undersecretary Jonathan Uy; and Vivencio Dizon, president-CEO of the Bases Conversion and Development Authority (BCDA). The two parties discussed the overall development cooperation between the Government of the Philippines and the Government of the People’s Republic of China.